BinaryoptionsRobot.com Review, SCAM Robot Exposed? 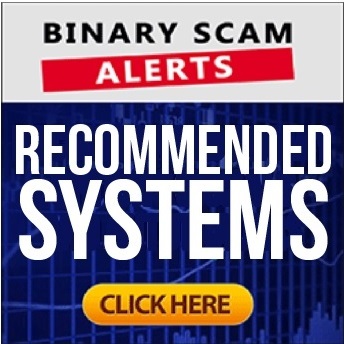 Binary Scam Alerts » Scam Reviews » BinaryoptionsRobot.com Review, SCAM Robot Exposed? Welcome to our Binary Options Robot official SCAM review and investigation. We have recently received multiple requests to conduct a detailed and factual-based inspection of this well-known app and trading robot, so naturally we have arisen to the challenge. We have also received various complaints in regards to false or hyped up claims which were presented at the point of sale. This is why it came as no surprise that when push came to shove promises were broken and that is where the anger and frustration start to take effect. We know for a fact that this offer is being very aggressively promoted by affiliate marketers, what we have yet to discover is if it is a SCAM designed to deceive and mislead you and should be blacklisted, or a legit and genuine trading app. Keep reading to see all the evidence and facts our staff of researchers has compiled, and make an informed decision before you join this program. What is Binary Options Robot? This software is an automated trading system designed to execute trades in hands-free mode. This trading bot has been around for the longest time and has mixed reviews ranging from outright SCAM and totally BLACKLISTED, all the way up to fully endorsed and recommended by top review sites. This trading robot was designed to provide a flexible and intuitive trading environment for both amateur as well as professional traders. Right from the start you can see that the developers of this software invested much time and energy in the coding process as well as the design elements. Its also important to point out that from a risk management perspective, you have the option of capping your trades and controlling the exposure you wish to absorb. We have seen various reviews saying it has an 83-93% ITM ratio, but the sales page does not touch this issue so we have no point of reference to check. From an operational perspective, you have built in strategies such as Wise Growth, perfect Pitch Method, High Yield Systems, Capital Gain Cue, and Order Flow. These are basically ways for you to automate your trading according to a preset criteria or rules. For example the difference between Order Flow and other Robot strategies is that the former doesn’t focus on past or future events on the market, only on the current orders and this provides a more real-time approach and less historical-oriented. The robot claims it takes emotions out of the equation, however the algorithmic logic is not discussed and we are left with explanation regarding the operational abilities instead of an in-depth explanation concerning the program design. The FAQ section merely says it “scans” the market fluctuations looking for trends. The software allows you to cap your investments and in that way manage your risk level. It also allows you to alternate from automated to manual at the click of a button, this is important especially if you want to stop relying on a bot and start executing trades by yourself. There is no download required and this is a very important feature during these times where internet security is gaining more importance. The site also comes with an HTTPS certificate, and this means that information you send or get through the the binary options robot website is encrypted and private. The sales page proudly boasts it uses “Trustful, Recommended and Regulated Brokers”, however as you can see below they present Big Option as one of their supported brokers. Big Option is one of the sleaziest brokers in the business and partnering with them does the software a disservice. As can be seen below the risk level control bar has a unique functionality which allows you to slide the selector and minimize or increase risk and potential profits instantly. The canned or preset strategies are also different and provide a point and click solution for inexperienced traders looking to minimize their learning curve while at the same time try out new strategies. Well, no one said it would be. The minimum deposit amount starts out at $250, however once you do that we can promise you that you will have brokers calling you around the clock and asking you to try out different and more profitable strategies. Interestingly enough these strategies may actually work, but you signed up for an auto-trader so if you are willing to start from scratch and actually invest time and money in trading you might as well use the manual signals solution or other tools. At this point we are looking at a very tricky situation since there are various elements which tend to be extenuating, specifically the risk management functionality and innovative graphic user interface. Contrarily we have a trading robot which is integrated with a horrible broker, something which stands in complete contradiction with the statements in the sales page. So at this point we can’t really endorse this offer, but we also believe it doesn’t fall into the classic get-rich-quick scheme category. We don’t really see hyped-up or exaggerated claims of easy money, neither do we see fake testimonials or inflated bank accounts. We did catch them lying, however when we look at the whole picture it tends to be marginal especially compared to other products we have reviewed. Can I Really Make Money With Binary Options Robot? Well, we didn’t invest because they coupled us with an unlicensed broker and we are tired of dealing with crooks. However, we did have at least 1 confirmed member who told us they were able to make a thousand dollars during their first week of trading using this system. These are divided into 3 main sections, the first has to do with brokers (i.e regulation, withdrawal issues, and bad service). The second has to do with the software, especially with how to stop it and if it is smart executing manual trades. The last has to do with general questions and queries related to potential losses and how the robot compares to others. Over all we have to say that the number of complaints fall significantly BELOW the average, however this does not diminish from their nature or severity. Overall it would receive a passing grade, but barely. The hot scams trending now are Quantum Code and Tesler App. If you are not quite sure about binary options robot and would be interested in checking out other systems, we have just what you need. Our staff of dedicated researchers compiled a short yet reputable list of consistent money-making apps. These are proudly showcased in our recommended section. Binary Options Robot is currently not BLACKLISTED since it does not qualify to be a classic or traditional SCAM (i.e financial, Ponzi, Pyramid, MLM). We are however not recommending it at this point and time because we found the owners of this software to be dishonest in their claims, and this directly reflects on the software (meaning if it is legit or genuine). Furthermore, we understand CySec regulation is making it tougher for trading robots to integrate with regulated brokers but we still recommend working with certified brokers where your money is safe. In a nut shell, this software falls directly into the abyss or black hole of uncertainty and we can’t really recommend it before getting more feedback from our members and subscribers. To get informed don’t forget to join our Facebook page and Subscribe to our YouTube Channel.